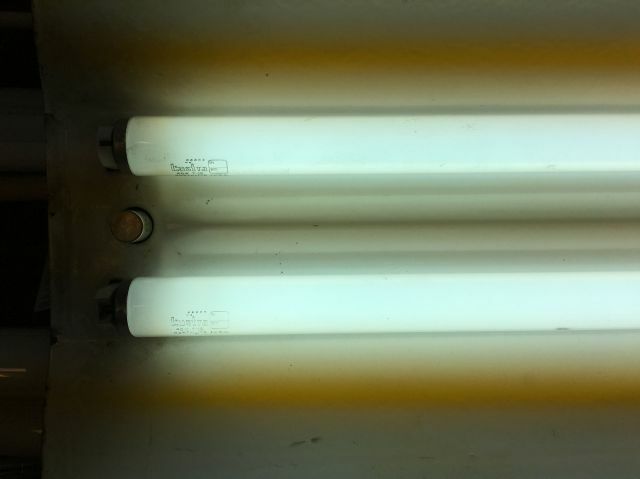 Lighting-Gallery-net - Fluorescent - T-12 and larger/Lustra Northlites lit! They got the odd Norelco end caps with large round discs. Cathode guards too. That was the old Champion lamp plant. Interesting. Ever seen the straight non-twisty Vita-Lites with the Norelco "Racoon-eye" but not rounded like GE endcaps? Yes, lots had that end cap style.